Private Internet Access is a great quality VPN that doesn’t cost the earth. As the name suggests, Private Internet Access is designed to give you a safe, private internet connection when you’re browsing the web or working online. You can use Private Internet Access on Macs, PCs and both iOS and Android mobile devices and the company has a strict no logging policy, meaning that it doesn’t log what you do or where you go while connected. 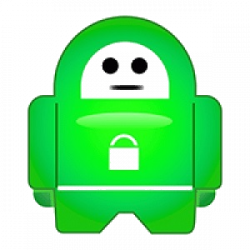 Everything about this VPN is designed around privacy, anonymity and stopping any online eavesdroppers in their tracks. Though it’s not the fastest service we’ve tested, Private Internet Access is a smart choice. As well as low costs, it’s simple enough for even VPN novices to get up-and-running with in no time at all. What is Private Internet Access? VPNs are particularly useful when you connect to a public WiFi network where you can’t trust the operator or other users not to snoop in on your communications. They can also be used to fake your location, so that it looks like you’re, for instance, connecting from the US even if you’re travelling abroad. This can help you circumvent Internet censorship in some countries or use US video-streaming services that are normally blocked outside of the US. 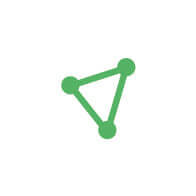 Private Internet Access is a major VPN with over 3081 servers spread across 28 countries, so wherever you are you should be able to get a fast local server to connect to. The VPN has some advanced features, like DNS Leak Protection and Disconnect Protection that can ensure your real location and identity stay hidden. It sets up a Virtual Private Network link between your computer or mobile device and one of the company’s servers, encrypting all the data passing through so it can’t be snooped on. What’s more, the IP address that identifies and locates your computer is disguised, adding a level of anonymity while you’re browsing. Signing up to Private Internet Access couldn’t be much easier. You pick a plan, enter your email address and payment details, then the service emails you a username and password. The email includes a link to the website’s download page, where you can find installers for MacOS and Windows plus instructions on how to use them. The trickiest bit of the whole process is entering the randomly generated username and password when you first launch the app, though you can copy and paste these into place. The app itself isn’t quite as intuitive; it’s basically a glorified control panel with some potentially intimidating depth, should you click the Advanced Settings buttons. Setting up a quick connection is easy enough, with the app selecting the nearest, fastest server, but the list that enables you to pick a specific location is hidden away at the bottom. We found a lot to like about Private Internet Access and its approach to VPNs. Put simply, this is a great-value package. Even if you only opt to pay monthly, the $6.95 fee is reasonable compared to key rivals. Take on an annual or two-year license, and you can bring this down to under $3 per month. While the desktop app is a little overwhelming with its advanced settings, the good news is that you don’t need to use the app that much. Most of the features you’ll need can be accessed by right-clicking on the icon in the System Tray (if you’re using Windows), and it’s actually easier to Connect to or Switch to locations in this way. The mobile app – VPN by Private Internet Access – is a lot simpler and clearer to use as well. They may not suit first-timers, but those advanced settings are certainly worth having. Chief among these is a killswitch that immediately halts all active internet connections if the VPN connection drops for any reason – an essential feature in situations where your privacy or anonymity really matter. Delve into the advanced settings and you’ll find “PIA Mace” security options. These block online ads and tracking tools that companies might use to follow our behaviour and sell you ads online. Expert users can take a lot of control over encryption settings and protocols. most of us won’t need to tinker with that stuff. Again, we largely consider Private Internet Access to be a successful VPN. However, its performance isn’t always flawless. On the one hand, Private Internet Access takes seconds to make an initial connection. If you hook up to a nearby server, the impact on your normal connection speed is minimal. However, things are different at long distance – a transatlantic connection will take roughly one-half to two-thirds off your speed – meaning Private Internet Access lags slightly behind the fastest VPNs. While some VPNs will enable you to watch US video streaming services while outside the US, this isn’t one of them. Netflix spotted that we were using an unblocking service and suggested that we switched it off. 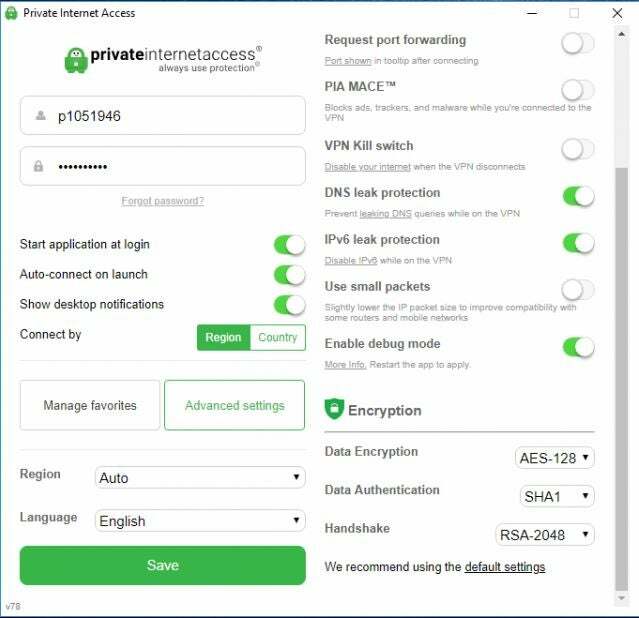 Private Internet Access is a particularly good choice if you’re a confident, experienced VPN user, happy to delve into those advanced settings. For beginners, it’s a little technical at times. Other VPNs, for instance, do a better job of guiding you through the how’s and why’s of connecting to a range of different locations for different purposes. Private Internet Access is one of the less-expensive VPNs. Pay monthly and it’s $6.95 a month but pay annually and it costs just $39.95 or $69.95 for two years of use. That brings the charge down to under $3 a month. Private Internet Access isn’t the fastest service, but it offers solid, good-value privacy and anonymity while you’re online. We feel it’s better suited to more confident users. If you’re not particularly experienced with VPNs, then this isn’t the easiest to use.